After a series of rigorous tests and the completion of the CE certification, we have developed the new OCS Friction Feeder. F350. - has an input format of more than 30 mm compared to the previous version and is more compact (narrower than 10 mm and much shorter than 300 mm). 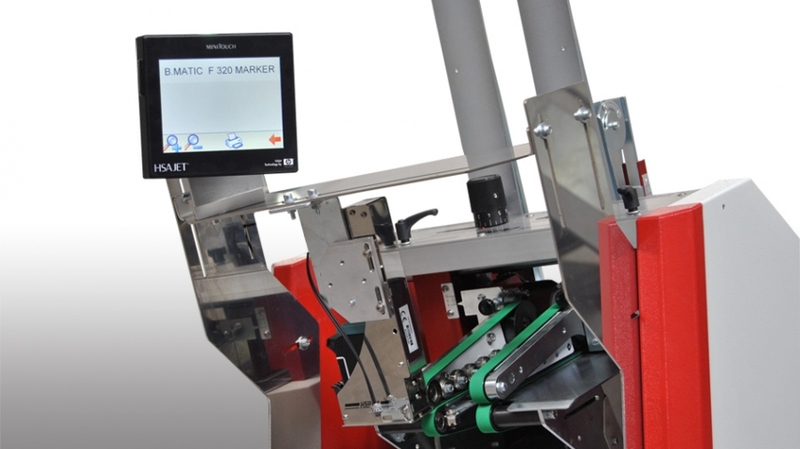 F350 COUNTER S MARKER is a friction feeder / counter F350 with integrated inkjet printing system. It is able to manage up to 4 printing heads controlled by the same trigger and marking the same product. 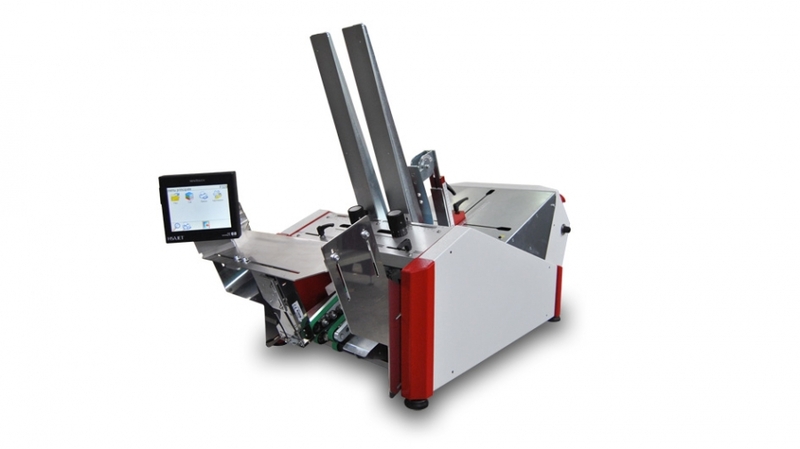 It can print fixed or variable data with a maximum resolution of 600 DPI and a print height of max 12,7 mm with one head to max 50,8 mm with four heads. 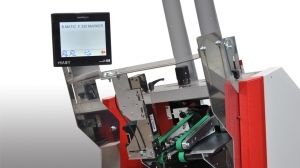 "TOUCH SCREEN CONTROLLER 5,7 "
You can set the controller directly by the touch screen to print a wide range of variable and fixed data including texts (Windws fonts), sequences, logos, linear and 2D barcodes. Easy to understand icons lead you through all phases of building your printjob. The controller can work with 1,2,3 or 4 printing heads for a print height up 12.7 mm with one head and to 50.8 mm with four heads. High printing definition up to 600 DPI. Printing speed can be fixed or variable, controlled by encoder (optional). The graphic software package tallows you to build your own logos, images and formats and export them into the Touch Screen Controller memory using the ehternet / serial or USB connection. You can also import new fonts from your computer and export them into the Touch Screen Controller. This is the HP cartbridge system maintenace free. They are mounted on adjustable supports with 3 meter connection cable. The printing heads are easily and quickly replaced in a few seconds. The Touch Screen Controller can control 1,2,3, or 4 heads triggered by the same signal and printing on the same product. Many types of inks are available depending on the substrate and actual requirements. 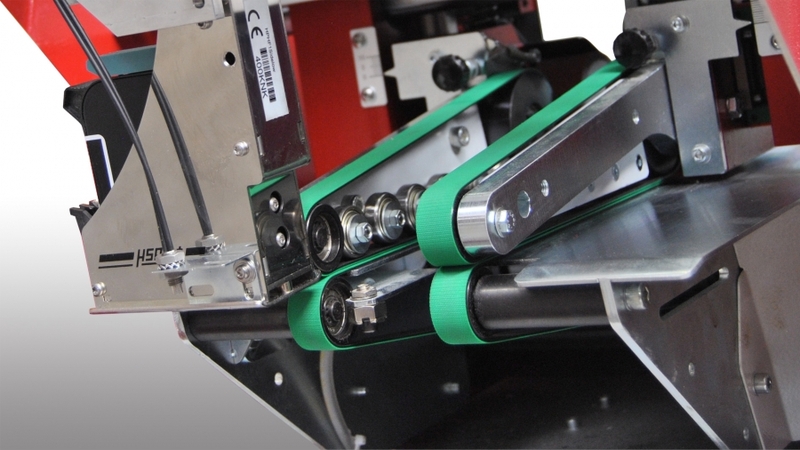 A fixing bracket allows you to adjust the positioning of the printing heads and of the Touch Screen Controller.